hi, planning permission is only required if you are to alter the apperance of the building ie build a dormer, if you have a velux window on the front elevation or change a hip to a gable. however building regs are required either by submitting plans to the council to be past or a builder can commence works on a building notice but needs to have more site visits by the inspector during the work and works out only slightly cheaper. Yes, you do need planning permission, also building regs. Absolutley. You will need both planning permission and building regulation approval if the loft conversion is to be a habitable space. For loft storage neither of the above is applicable. If your room is totally within the loft space ie no dormer, you will not normally need pp, but building regs are a legal requirement. PP is required for extending or change of use. Depending on the loft conversion and where you live you may or may not need planning permission. Essentially as long as you don’t live on designated land i.e. national parks, conservation areas and other similar classifications it is possible to undertake a loft conversion without planning as long as you stick within certain guidelines. This type of work falls under what is known as permitted development and the conditions are set out in the above guide. In the case of designated land it is always best to speak to your local planning department to see where you stand. If you feel your loft conversion falls within the guidelines for permitted development then I would recommend that you contact your local planning department and talk to them about it. They are likely to ask you for a drawing of the proposed conversion and possibly some photos of the site etc, they will then asses it for you and if it meets the conditions set out for permitted development then they will put this in writing for you. They will do this free of charge and it will also avoid any nasty surprises down the line as you have written proof that you do not need planning permission. If your conversion doesn’t fall within the guidelines for permitted development then you will need planning permission. 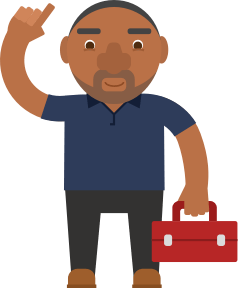 Post a job on MyBuilder to find quality, local Loft Conversion Specialists who can help you with your project. Do I need planning permission for chimney breast removal? Does the stack need RSJ support? Where do I start with planning a single storey extension? How much should I be paying for architects plans? Do I need building regulations to refurbish a loft conversion which was done ages ago?